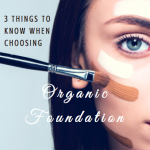 In my research, I found that even the most “organic” and “plant based” brands of makeup, even popular ones that you might be thinking of, still contain several harmful toxins (I explained them here). However, the only makeup on the market currently that does not contain any of those chemicals is Savvy Minerals by Young Living. I am NOT. I like feeling pretty like the next girl, but I've never been one to hoard make up samples or glitter up my face on a daily basis. Here in Mexico, I don't even use foundation. Ever. However, when our family started experiencing some health issues and we found out they were largely caused by toxins and heavy metal overloads in our systems, we knew we had to make a change, and that meant evaluating EVERYTHING we were using in our home and on our bodies, including salts, spices, soaps, household cleaners, haircare, deodorants, toothpaste, and even makeup. Though I am not a makeup expert, I am learning to live more healthfully, and protect my family in ways that are within my control. My teen girls, for example, have never used toxin-laden makeup. And I am extremely grateful that they may not have to fight some of the same health battles I've faced because of it. Want to try Savvy Minerals makeup yourself? When you open a distributor account with Young Living you save 24% on every order, plus you have opportunities to earn special rewards and prizes. 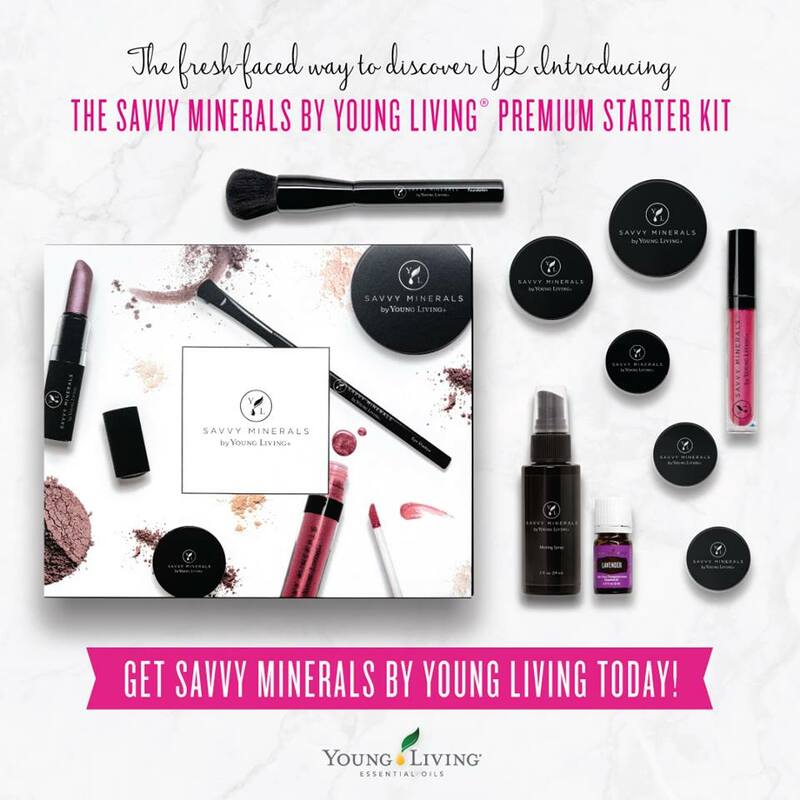 The Savvy Minerals Starter Kit is the best thing to order first because it gives you such a great sampling of the makeup products at a savings of an additional 24% off wholesale prices! 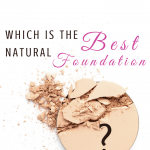 Which is the Best Natural Foundation? 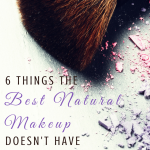 If you're new to natural makeup and essential oils, you can learn more about them here. 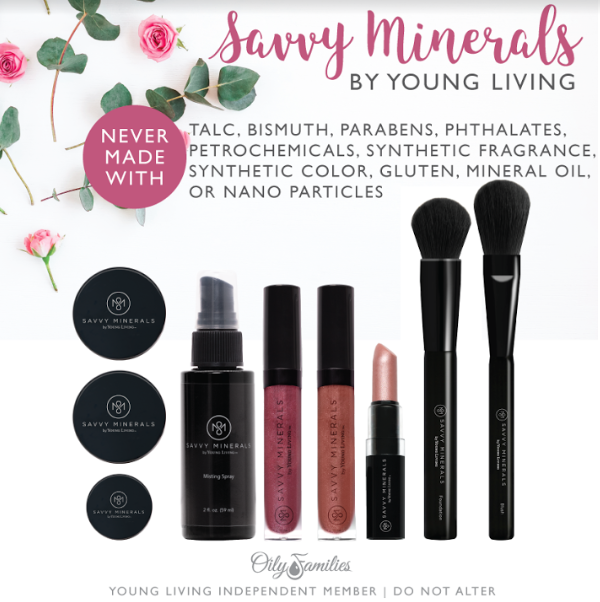 If you'd like to join me and start using Savvy Minerals makeup or Young Living Oil infused products or Essential Oils, I would be honored to walk you through what we use and how we use them on a daily basis. Contact me and we can set up a time to chat if you'd like to know more, or check out the posts below. 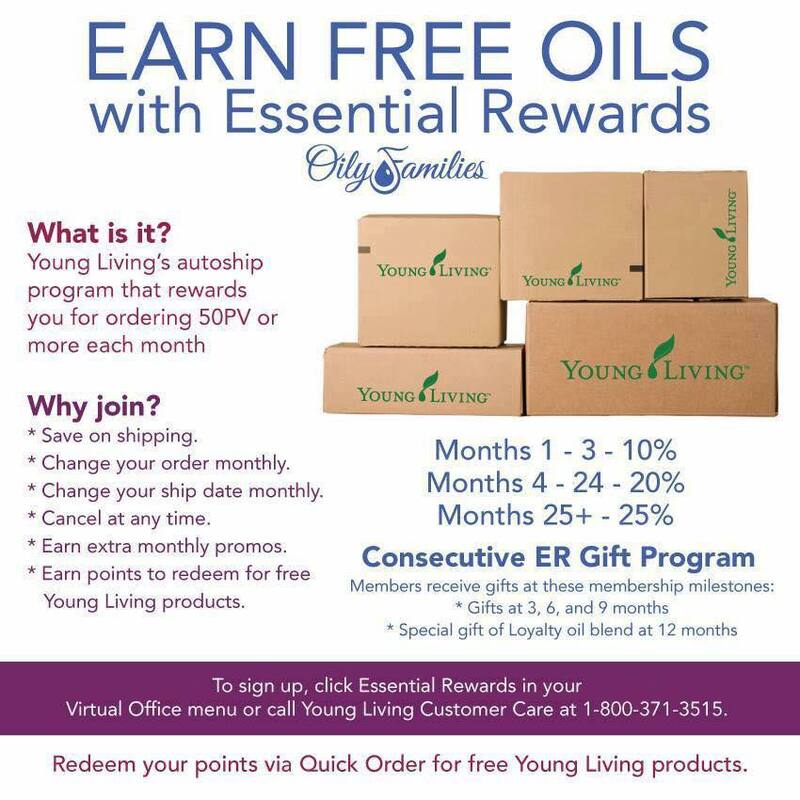 If you also join Young Living's Essential Rewards (ER) program, your order is set on auto ship each month and you'll get free product and product credit based on how much you order. Order items and dates can be changed each month, so you can keep replacing those toxic household products with natural ones! Go to youngliving.com and click on “Member Sign-Up” or Click here. You need to create an account, just like when you order from Amazon or any other online company. Choose “member” to get oils at the 24% discounted price (you are not required to sell anything). 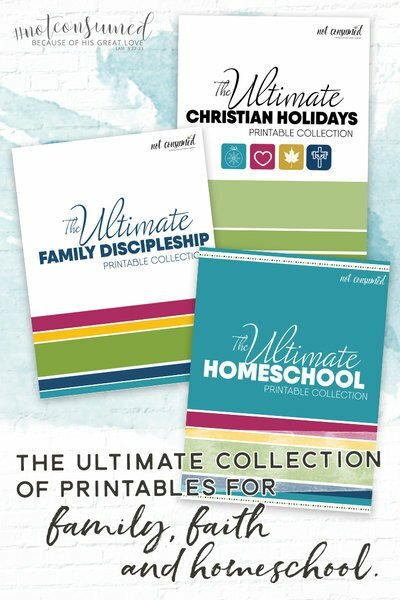 Step 2: If you already know you'd like to order every month you can select something here as part of the Essential Rewards autoship program. If not, just skip it. If you do choose something, you can always change your next month's order later. The benefit of this is that you get points back on those purchases which you can use toward products later. Step 3: If you want to add more products to your initial order, click “add more products”. If not, click next. Enter your Membership and Sign in Information. Be sure to write your Pin number down somewhere as you'll need it for verification if you ever have to call customer service. If you do not want to do the business side of Young Living, you can choose individual under the Commissions section. Otherwise, For tax purposes Young Living will ask for your SSN or business EIN number. Even if you don't think you'll turn your membership into a business (which there is NO pressure to do) it's good to have this added now as an individual, because even without “doing the business,” if a friend signs up and orders under you, you can get the commission. Read the terms and check the “agree” box, then hit the “next” button. Add your billing and shipping info on the next page, and confirm your order. 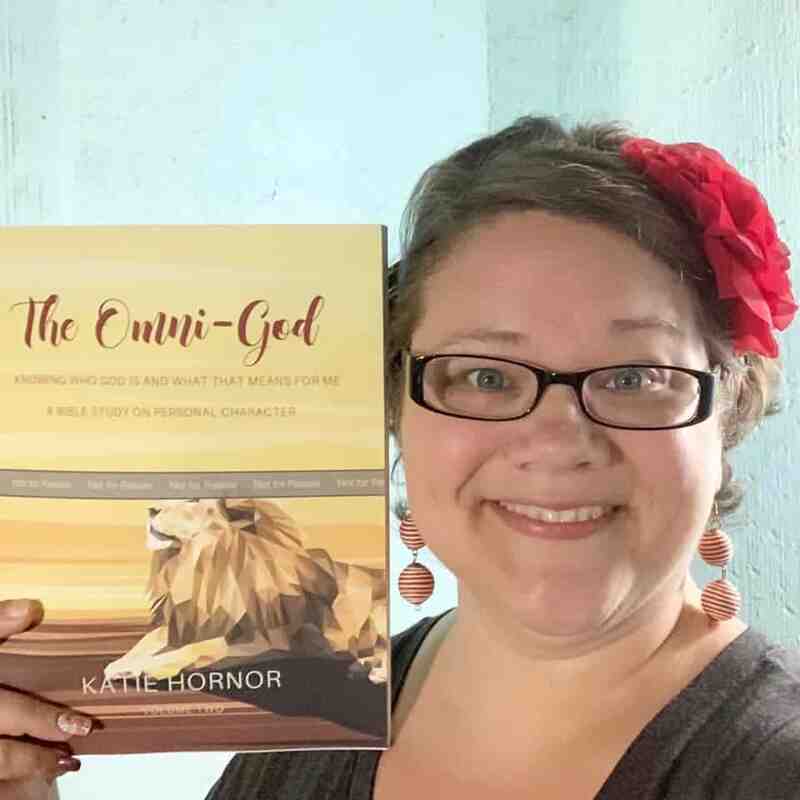 FREE GIFT: Send me an email to katie@paradisepraises.com letting me know you signed up for the NEW MEMBER SPECIAL so I can follow up with you, send you your reference materials and your FREE GIFT, and help you learn how to use your natural products. 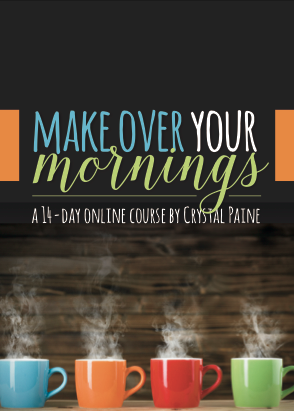 The reference materials are a special gift of knowledge that will really help you understand essential oils and how to use them. Once you sign up and email me (and if you have a facebook account), I can also add you to an Oily Family facebook group. This group has been a great help in helping me learning how to use Young Living Oils. I'll also send you an email occasionally sharing how I use the oils and giving you a chance to ask questions if you have them. Remember, there is no pressure to buy monthly or to recruit other customers and you only need to order $50 per year to keep your membership and get the 24% discounted prices! I spend between $100-200/month and that has replaced our doctor bills in the budget. I have never regretted starting with essential oils, only regretted not starting sooner! You may have heard that Young Living is a multi-level marketing company. Don't let that scare you. That's just the fancy term for earning a comission when you share the product with others. If you're ready to order, Click HERE and follow the steps above. Here are some of my posts on these amazing natural makeup and skin care products!